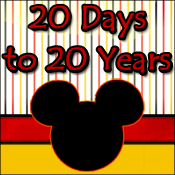 Disney Goddess: Wordless Wednesday: Adventure! 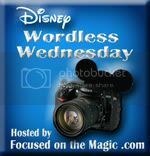 Welcome to the latest Wordless Wednesday Bloghop, hosted by Focused on the Magic! This week we are searching for adventure beyond the camera lens! Join us for more wonderful adventures on this bloghop! Just click the picture below! A huge thank you to Deb from Focused on the Magic! Great pictures! Such a beautiful and peaceful nature adventure! Thanks for sharing your adventure photos and for linking up to the hop. Thank you for hosting and allowing me to be a part of it! Well, you're right - I had no idea that there was a wilderness preserve so close to Disney World. Is it open to the public?? It was a very nice diversion from the busy-ness of WDW in the summertime. It only took part of a day to walk through so we had time for parks in the cooler evening hours. I would recommend a visit! Just remember bug spray! That is so awesome! Totally a place to check out! Beautiful photos!